Whether you call it personal marketing, harmless exaggeration, or innocent inflations, many candidates have a tendency to stretch the truth a bit when the time comes to fill out a job application. It is natural to puff oneself up a bit when looking for a job. We all want to present ourselves in the best light after all. Unfortunately, there are candidates who cross the line from professional showboating to a deliberate misrepresentation of their credentials. Understanding how to spot these unscrupulous employees can save your organization’s time, money and reputation. When looking for proof of the damage that deceptive employees can cause, we need to look no further than the evening news. The recent Brian William’s scandal exposed how one person can bring shame to an entire organization. The resounding question was not why did Brian William’s lie about riding in a helicopter that was forced down after being hit by an RPG, but why didn’t NBC News perform its due diligence in uncovering those lies? In 2014, Masiello accepted the office to become the new head coach for the University of South Florida’s Men’s Basketball team. A contract was reportedly for 5 years and worth more than $1,000,000 per season. Masiello stated that he was a Kentucky graduate on his resume. Masiello attended Kentucky from 1997 to 2000 but did not complete his undergraduate degree. Scott Thompson, former Chief Executive Officer of Yahoo! In January 2012, Thompson was hired as the CEO of Yahoo!. Prior to his position at Yahoo!, Thompson held titles such as Senior Vice President, Chief Technology Officer and President of eBay from 2005 – 2012. Thompson stated that he graduated from Stonehill College, with degrees in both accounting and computer science. Stonehill College verified that Thompson was granted a B.S.B.A degree in Accounting, but not for computer science. After the facts of the investigation where finalized, Yahoo! announced on May 13th, 2012 that Thompson would be replaced as CEO. His tenure only lasted 130 days. In 1999, Callahan was appointed Deputy CIO of the U.S. Department of Labor. During her tenure, Callahan was responsible for the Department’s $420,000,000 IT budget. She was also elected President of the Association for Federal Information Resources Management. Callahan stated that she received a Bachelors, Masters, and Doctorate degree from Hamilton University. A now-closed diploma mill, Hamilton University issued degrees based on “life experiences” after completing a questionnaire and providing payment. Reports surfaced in 2003 that Callahan received her qualifications from Hamilton University and was placed on paid administrative leave until June 2003. Callahan resigned from her position at the U.S. Department of Labor on in March 2014. 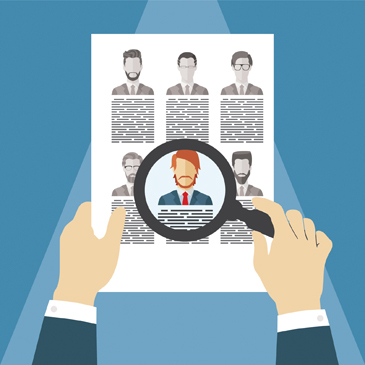 Uncovering applicant’s falsehoods can be a daunting responsibility. Individuals have unprecedented access to diploma mills and dishonest online “resume verification services”. However, given statistics such as 45% of all resumes contain at least one major fabrication (SHRM) and 70% of all business shrinkage link to employee theft (New York Times), resume fraud is certainly not an issue we can choose to ignore. Ask if your applicant graduated. A common embellishment on job applications is to list a school attended, but not necessarily graduated from. Similarly, another example of embellishment would be when an applicant lists a prestigious school on a resume in order to mislead an employer into believing that he/she attended that school, when in fact he/she merely completed a workshop or seminar. Take the required steps to validate that you are calling a legitimate business. Don’t just call the number the applicant provided. By taking a few minutes to do some online research you can verify that you are calling the correct organization. Check the dates. In fact, use caution if an applicant lists year only employment dates for example, from 2012-2013. Using this example, it appears that the applicant has worked for one year; however, what if the dates were 12/2012 to 1/2013? Big difference. Use extreme caution when accepting diplomas or paystubs supplied by applicants. With the technology available today, applicants are able to produce some very realistic documents. Always re-verify these documents with the originating source. In the wise words of Homer Simpson, “It takes two to lie. One to lie and one to listen”. Partnering with a quality background check provider helps to ensure that you hear your applicant’s whole story.